Help Santé look after your skin by looking after your Santé. Our laundry bags keep the Santé range protected and in perfect condition when laundering. 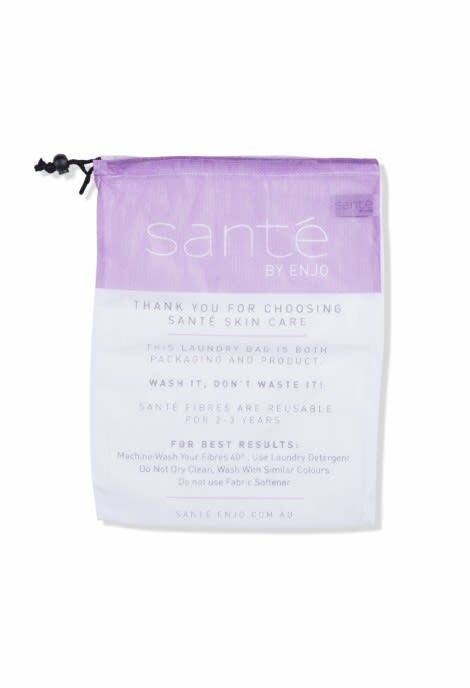 Our Santé range loves our laundry bag, for mindful cleansing and mindful cleaning. Santé’s all about harmony, with your skin and the environment. Which is why all Santé products are durable, caring for both your skin and the environment.